LOS ANGELES (CelebrityAccess) — The Grammy Museum is now accepting letters of inquiry for those wishing to participate in their 2018 grant cycle. Funded by the Recording Academy, the grant program is aimed at supporting individuals and organizations focused on audio preservation projects, as well as other, related scientific research. Previous grants have helped to preserve significant private collections, as well as archival materials at institutions such as the Library of Congress and the Smithsonian Institute. Other grants have supported research into beneficial uses of music such as studies of the links between music and early childhood education, treatments for illnesses and injuries common to musicians, and the impact of music therapy. 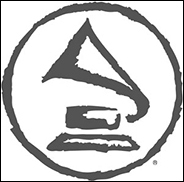 To date, the Recording Academy has funded more than $7 million in grants that have been awarded to nearly 400 recipients. Interested applications must submit a letter of inquiry prior to submitting a full grant proposal. The deadline for letters of inquiry for the 2018 grant cycle closes on Oct. 1st.